Celebrate and support our wonderful local farmers, growers, and makers throughout August. With over 40 percent of the co-op’s total food offerings being sourced locally — including 70 percent of our produce selection, and close to 90 percent of our meat selection — there’s plenty of ways to make eating local an easy choice. Enter our Eat Local Challenge by August 20th for your chance to win a custom-designed Eat Local co-op t-shirt or tickets to an exclusive pop-up dinner featuring local foods prepared by East Side chef Bob Parker. 25 lucky shoppers will be randomly selected to receive a co-op t-shirt. Six lucky grand prize winners (and their guests) will be randomly chosen to receive pop-up dinner tickets. The pop-up dinner will take place on Thursday, September 6th from 6:00 to 8:00 p.m. at our East 7th store, featuring chef Bob’s famous Potato Pesto Soup and Pork Roast, local Urban Organics salad greens with vinaigrette, and Mississippi Market-made desserts. 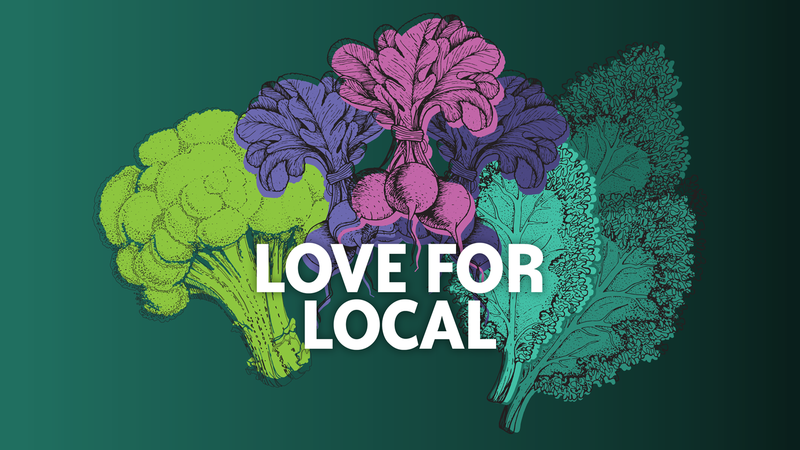 Eat Local Challenge winners will be drawn by August 22nd.